At an early age, Bill Cavender was introduced to the world of beekeeping. Honeybees and the unique delicacy they create have always intrigued him. Later in life, he began experimenting with creating mead from that honey. He is now turning lifelong passion into what he is calling the RVA Mead Lab. While studying in England, Cavender discovered “real beer” and started brewing his own when he returned to the United States due to the lack of choice in the market. This was during the late 1980s, when the craft brewing movement was in its infancy, and finding quality beer was expensive and time consuming. A move to Austin, Texas for graduate school led Cavender to mead-making as the climate was too warm to brew beer. Mead, which doesn’t need as controlled conditions as beer, was the perfect solution for Cavender. What started out as an alternative to beer brewing turned out to be a life-long passion. 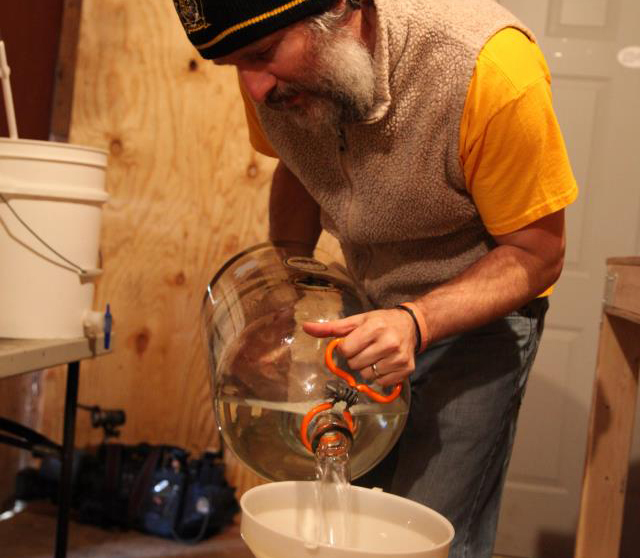 Cavender enjoys experimenting with different ingredients and flavor profiles when crafting his mead. This experimentation is at the heart of the RVA Mead Lab mission. Over the course of twenty mead-making years, Cavender has crafted meads with varietal honeys like meadowfoam, orange blossom, mango and tulip poplar. He has also included ingredients such as figs, peaches, raspberries, cactus fruit, apples, spices and herbs to add new dimensions to his honey-based libations. He’s especially proud of his Meads made with locally picked Prickly Pear, and what he cals his ‘Bangkok Chile Mead’ which took a blue ribbon in the ‘Sprit of Free Beer’ competition in 2002. Although mead has been around longer than modern civilization, its popularity has decreased in the past couple of centuries, a situation Cavender is hoping to remedy by opening his RVA Mead Lab which celebrated its grand opening in Midlothian, Virginia on March 2. The purpose of the RVA Mead Lab is twofold, claims Cavender. 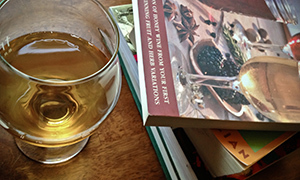 The first purpose is to introduce mead and its wide variety of styles and flavors to a much larger market. The second purpose of the Mead Lab is research and development; Cavender hopes that by providing a hygienic, sanitary lab-space to members that several hundred types of mead will be developed and available for the public to sample. 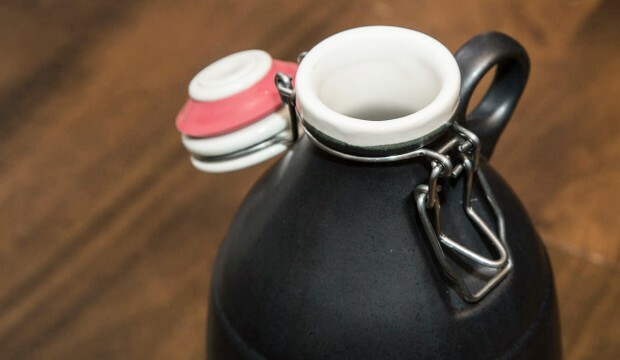 I wanted to be able to provide a space and all supplies for people, so that they could get into the brewing process without the outlay of cash for all the equipment. This way they can learn the process and if they enjoy it, move to the next stage with their own equipment. Cavender hopes that the RVA Mead Lab will become known as a place of innovation in the burgeoning mead industry. Due to the collaborative, co-op nature of the Lab, Cavender turned to crowd sourced funding website, Kickstarter for start-up capital. While most of the funding came from friends, acquaintances, and Richmond locals, 33% of all contributions came from outside of Richmond, and 10% from mead enthusiasts he had never met (including Me). Membership cards and premiums are given out to those who helped fund the project. The master plan for the Mead Lab is to eventually develop into a commercial meadery with a large experimental lab where members can be creative and offer input. Cavender hopes that with the growth of the Mead Lab and other craft meaderies will not only help spread the joy of mead and meadmaking, but also support local farmers, beekeepers, and keep local honeybee populations from dying out. Judging by the recent boom in people interested in brewing and consuming mead, it looks like Cavender is headed for success. If you can brew an extract beer, you can make mead. The choice of flavors is only limited by your imagination. There are no strict guidelines like brewing. This allows a meadmaker to really focus on what they like to drink, and not worry if it meets style guidelines. While meads can take a while longer to be at their peak, it is also possible to make meads that are ready to drink in a month. Just remember, most meads do age well, so that the last bottle you drink is usually the best, and makes you want more!